The player's for sketch 45! Here are the players for last week's sketch. Sketch Challenge on the Planet! Storage Uinits Ink and More Design Team Call! Sick again, or should I say still! Monday Lunchtime Sketch Challenge #44 Players. Again, I missed one, YIKES, I need some sleep. Lots more players for sketch 43! Whoops, missed my friend Charlotte! Whoops, one more for sketch 42! Lot's to share! I am playing catch up. More Monday Sketch 42 players. I will be back in the morning with my card and a SUINK challenge too. Wow, I missed a lot of challenges this week. But I am only looking forward and not back. I would love to have you play along. There really are no rules. And don't forget about the new way to play! After you create your card come on back to this post and add your link below to Mister Linky. Then leave me a comment. Your link will be automatically added to the list. 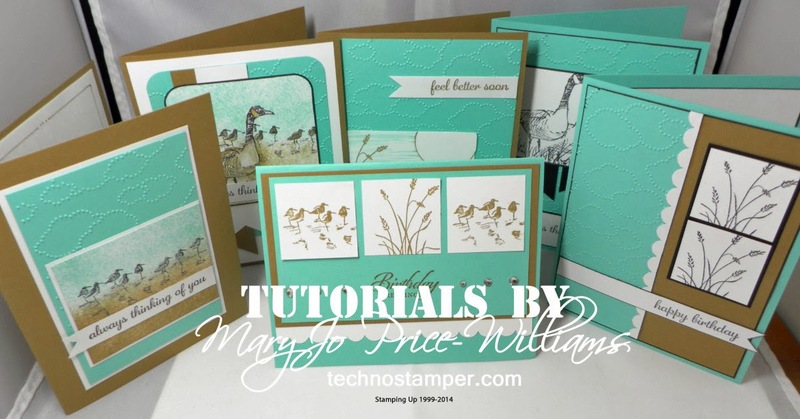 Remember to only link up if you have a card created and when you do be sure to add a direct link to the card or project that was inspired by the sketch. Can't wait to see your designs. Have a great week. Remember that you can come back and look at the new links any time during the week or see them all at the end of the week. Sorry for the lack of post and of commenting on the cards, I will get to them soon. You can find a brief explanation in the next post. Here are the player's from last week, so go a head and take a few minutes to see them all. I know I will be doing that in the morning! Be sure to leave them some comments and let them know that you love their samples! Here we are again, getting ready for a brand new week and of course a brand new sketch too. This week's sketch is pretty darn easy, I even made two cards for it! Here is the sketch. And here is my first card. 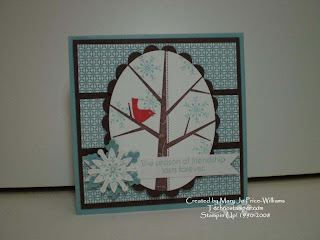 I so love this Stampin Up set called Season of Friendship. It is so easy and fun to work with. 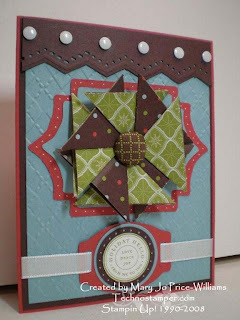 I used it here with the Baja Breeze designer papers to create a 4 1/4 inch square card. So quick and easy. Paper: Baja Breeze, Chocolate Chip and Whisper White along with the Baja Breeze designer series papers. 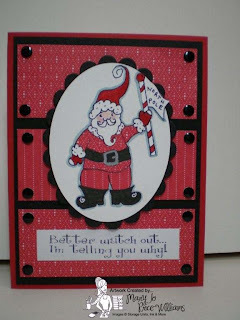 This next card is using a stamps set called Santa's Little Helpers from Storage Units Ink and More (SUINK). This is a cute little set with this Santa and some elves, stockings, snowman and more. Very fun to work with. 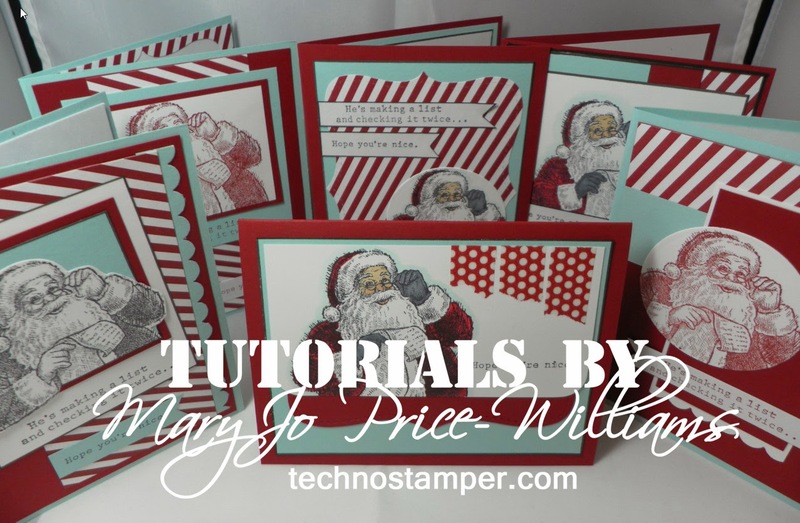 I stamped the Santa and then paper pieced his outfit to give him a little style. 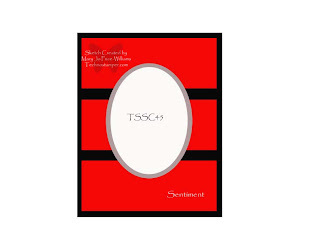 The saying is from the set that you can earn for FREE this month from SUINK-it is called All Holiday Sentiments. Better hurry up, time is running out on that one! Don't forget about the new way to play! 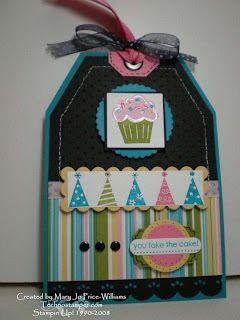 After you create you card come on back to this post and all your link below to Mister Linky. Then leave me a comment. Your link will be automatically added to the list. 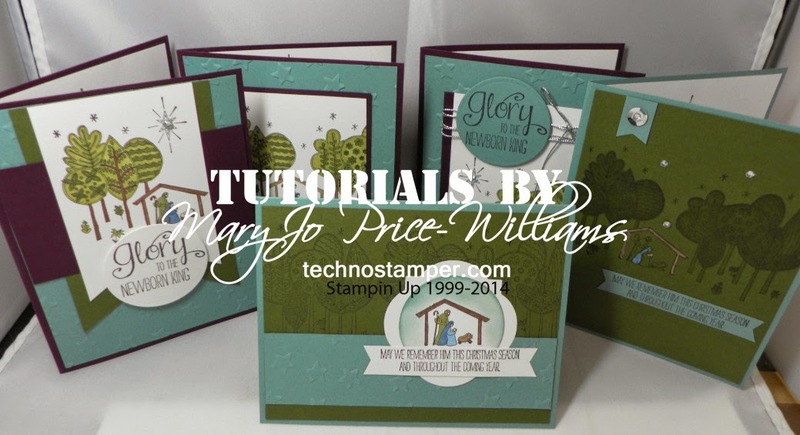 Remember to only link up if you have a card created and when you do be sure to add a direct link to the card or project that was inspired by the sketch. Can't wait to see your designs. Have a great week. Remember that you can come back and look at the new links any time during the week or see them all at the end of the week. Remember I have a new way to sign up for the sketch challenges. And one of the cool things is that I can not cut and paste all of those links right here for your viewing pleasure. Lots of great creations with this one. Be sure to check them out and give them a little lovin with a comment or two! If you do not see your link here it is either because you did not add it to Mister Linky at the end of the main post or you added it incorrectly and it was deleted. You only need to add a link if you have a card created for the sketch, and then it needs to be a direct link to the card or project that relates to the sketch. Thanks so much. Great job ladies, thanks so much for playing this week. I will be right back with Sketch 45! My son so wants to learn to ski or board this year, so this is for him, I am going to be adding a gift card for a local ski place. He is only 8 but I hope he enjoys it. Here are the details. 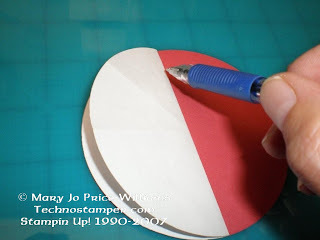 This is for today's sketch challenge on the Planet--Paper Planet that is. 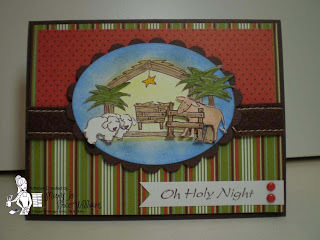 I had lots of fun with all these little images from the Oh Holy Night set from Storage Units Ink and More. My favorite Christmas cards are ones that express the true meaning of the season, and this does. Hope you are having a great day. I am still feeling lousy so I am having a hard time with any creations, but one the bright side, my son is all better. Thank God! I have been trying to post this all day, blogger keeps having internal error when uploading. Finally I just cut and pasted from the SUINK blog so hopefully this will work. Frustration! A simple thank you for the fall season. 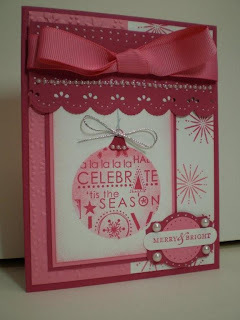 The blogger's challenge for this weeks was to create a card with a Giving Thanks theme. I decided to go simple and use these wonderful fall images form the Bountiful Harvest and Giving Thanks sets. Both of these sets are jam packed with awesome images for the Thanksgiving/Fall season. 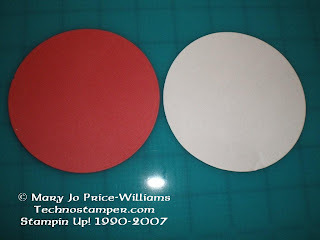 Paper: Pumpkin Pie, Chocolate Chip, So Saffron and Whisper White card stock along with So Saffron DP all from Stampin Up! Love the simplicity of this one. What do you think? 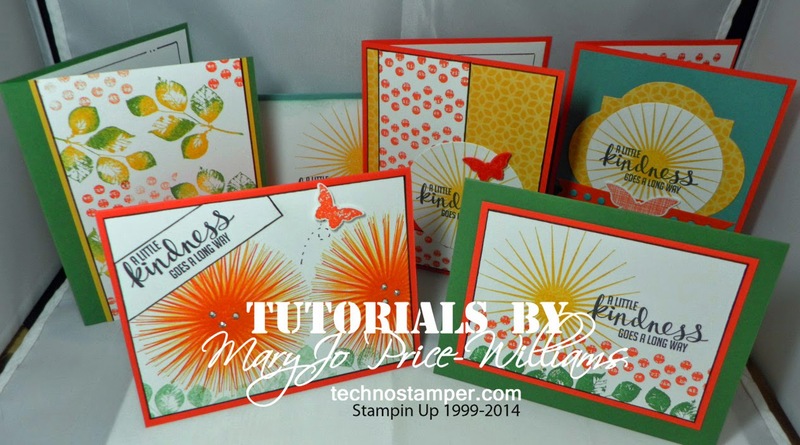 The Ways to use it challenge was the perfect finishing touch to this fun card. I love these colors and this card to me is just stunning. 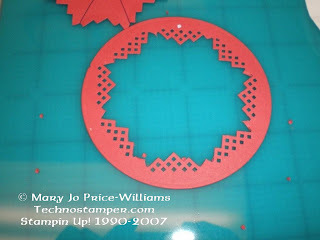 I will post a tutorial on how to do the ornament if I have any interest, just let me know by leaving a comment. Here are the details, need to get back in bed, my son is home sick too so we are resting. That's right I am going to be looking for three new members to be added to our team starting in January! Do you think you can make the cut! I have a few people I have been watching but I can't be every where so I thought I would put out a call and see what I get. Here are the rules of the call. 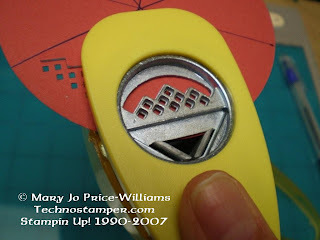 You do not need to use SUINK (http://www.suinkandmore.typepad.com/suink_blog/) stamps to participate, but if you have them you might as well flaunt them, now is your time. Pick out three or four of your favorite cards, or make some new ones if you are feeling really ambitious. Send them to me at yourrep@roadrunner.com along with a few words on why you would like to be on the team and who you design for now or in the past. It is important to know that I am looking for people who are dependable and enthusiastic. It is not required that you have been or are on another team so don't let that intimidate you newbies. I want fresh designs and people who can work well with others. 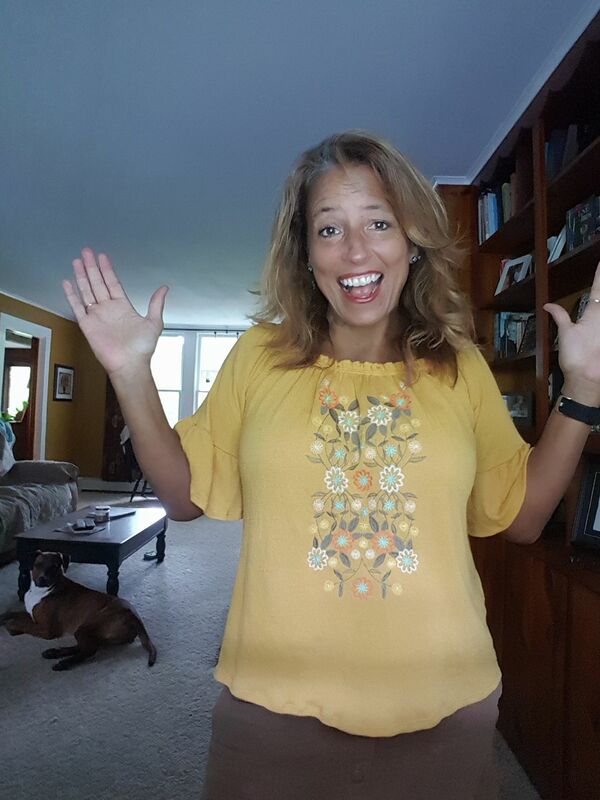 So what are you waiting for send me your samples today! Deadline is December 7th with announcements on the 9th! Good luck. 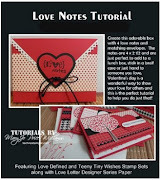 Here is the link to the SUINK blog (http://www.suinkandmore.typepad.com/suink_blog/)for your viewing pleasure. As the season gets closer I thought it would be fun to focus on decorating gift bags. Whether you chose to create your own or decorate a ready made one, don’t matter. I sure hope you will chose to play along this week. We are really enjoying seeing your creations. 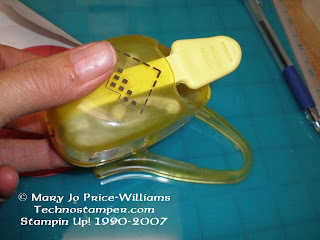 Remember it is not a requirement to use SUINK stamps but we really do love when you do. Remember to leave a comment here so we can come on over and check out your creations. The key word is SUINKWWC15. And here is a Christmas card from my class on Saturday. A nice simple one. I love the colors Night of Navy and White for Christmas cards. 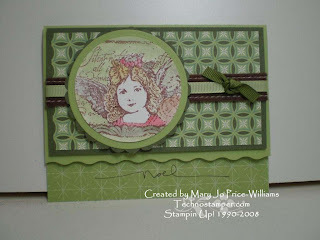 I used the Snow Swirled stamps set. 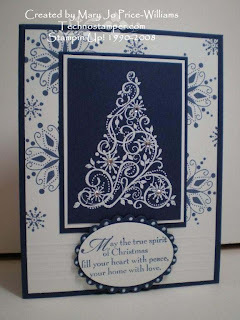 The tree is embossed in White and has lots of little faux diamonds stickers on it. I also used the scor pal for the lines on the bottom behind the sentiment. 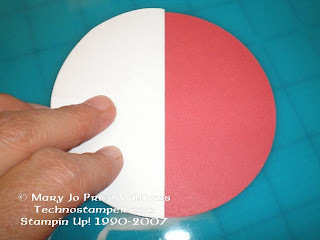 That is punched out with the wide oval punch and layered on a blue scallop oval cut from my Nestabilities. Hope you like it. I am hoping to feel better soon, each day I fall farther and farther behind, that is probably half my stress, lol! Have a great night. Off to put my little guy to bed, he is feeling yucky too. Poor baby. This week's technique lover's challenge was a real challenge at first but once I figured it out it was pretty stinkin easy. You can see the challenge here. And here are the quick details on my card. Got to go--lot's to do. Happy Monday to you all. Here are the team's creations for this week's sketch challenge. Please add your link to the previous post. Don't forget that there is a new way to let me know that you are playing along. 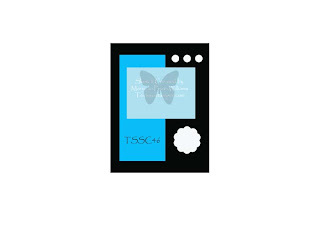 All you have to do is create your card with the sketch and then come back to the original post (HERE) just like you used to to leave a comment but instead of leaving the link in the comment you will be leaving it right in the post on Mister Linky. Just type in your name and then add the direct link to your project! That's it, so simple and they will all show up right there for everyone to come and view at their leisure. I will do one post with all the links at the end of the week, right before posting the new one. If you have questions please feel free to ask. Can't wait to see what you create. 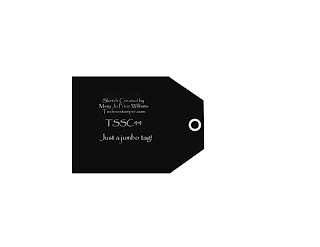 Don't forget to use the keywords TSSC44 if you post online. I am so hoping to try something new this week with the sketch. It is called Mister Linky. It is a really cool idea. You can play along as usual but when you come to leave a comment with a link you can just add your link to the box right on the post! You will need to add the direct link, please don't just link to your blog, that frustrates people when they have to look for the particular item they are looking for. I am hoping that we can do this and then at the end of the week before I post the new one I will post all the links at once. The best part of this is that they will ALL be available in one spot if you want to come and check them out any time. I will still be posing my first group of links from the team that has the advance notice. If you have questions please do not hesitate to ask, I really think this will work once we get the hang of it. 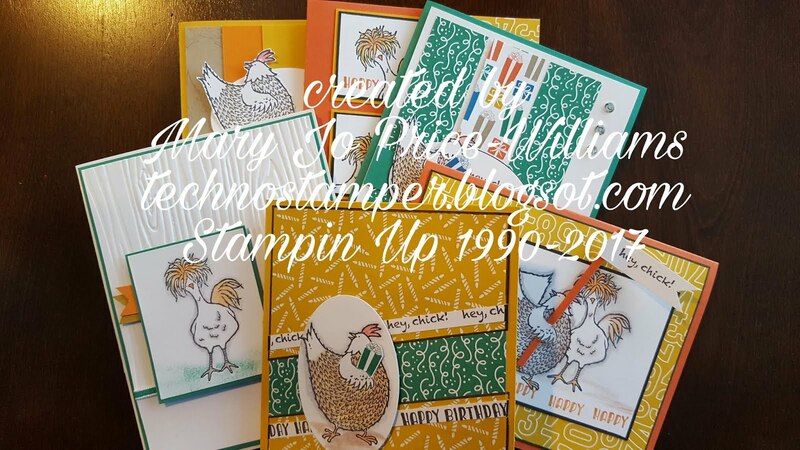 I used the Party Hearty stamp set, lots of scraps, my nestabilities, designer label punch, 1 inch circle punch, 1 1/4 inch circle punch, brads, white gel pen, paper piercer, mat pack, word window punch. ribbons, jumbo brad, black gel pen and I think that is it! 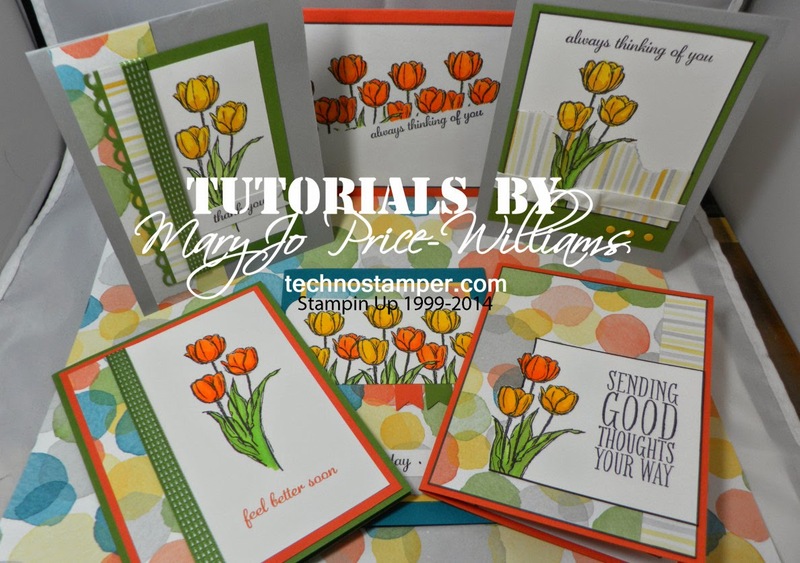 So don't forget when you create your card for the sketch come on over to this post and add the direct link to your card right here on Mister Linky. It it will automatically add you to the list of player's. Angel Baby and the last few player's for sketch 43. I am still running days behind schedule, funny how you can never seem to get caught up once you fall behind. Oh well what are you gonna do? Here is another one of my Christmas cards. I generally make all different ones since I really don't like to mass produce or even to make two for that matter. The girls made this at my second Christmas Card class. I really love these colors and with this image I think it gives it a kind of vintage look?? What do you think? I am not really good at vintage, lol so that is not what I was aiming for! Here are the last few players for this weeks sketch. I am going to try to do things different starting at sketch 44 so be sure to read the post with the sketch! I am posting that right after this. I sure hope I didn't miss anyone this week, it was a crazy week. Thanks to everyone who played along and be sure to read the directions on how to play next week. I have had three people say that they either can not open or do not like to see video for tutorials, they want something they can print. Well just for you guys, here is a mini tutorial of what Becca had on her video. 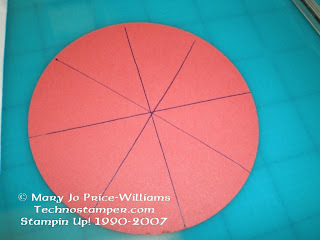 You will need to start with two circles cut the exact same size. One is on the card stock you plan to use and one on regular computer paper. 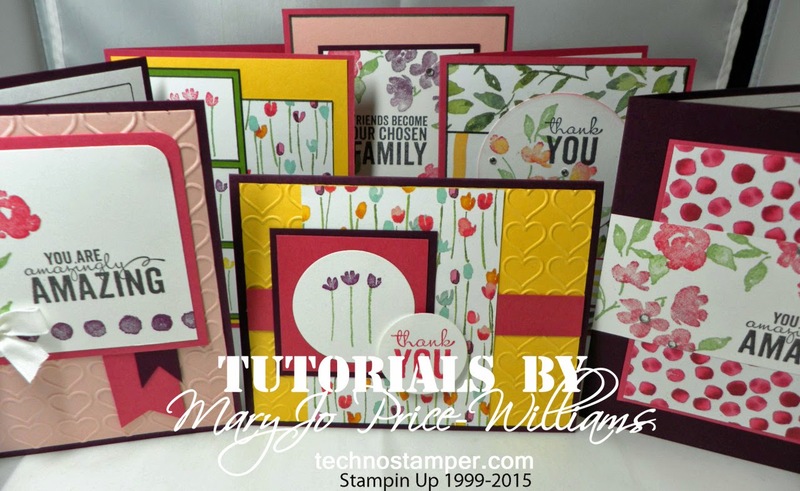 Set aside your card stock one for now. 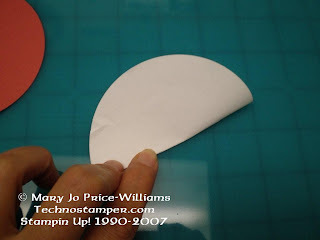 Begin with your computer paper circle and fold it in half, making a good crease. and this is what it will look like at this point. See the two score lines and four sections. 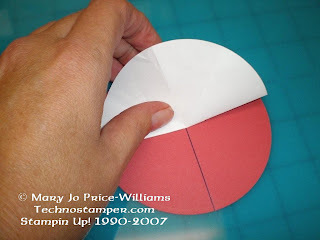 Now you will fold it again cutting two of those four pieces in half again. You can see the score lines on my picture for reference. 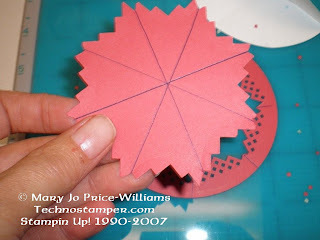 Unfold and do it one more time to create eight equal pie shaped scored pieces. Now for the brilliant part. 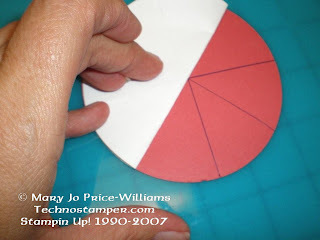 You will lay your scored circle on top of the back side of your card stock circle. 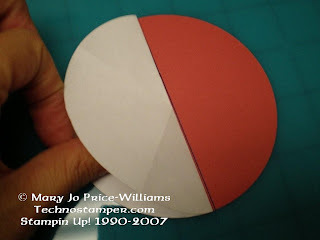 Fold you paper in half as shown below. 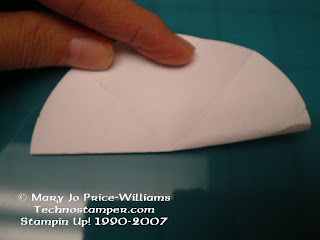 Use a pencil or pen to draw a line along the fold. See below. 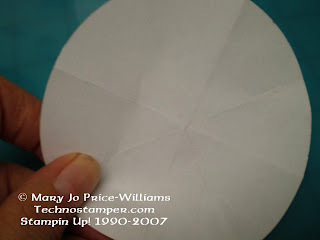 Next, without picking up your scored paper carefully unfold and then fold on one of the other lines. See next two pictures for reference. 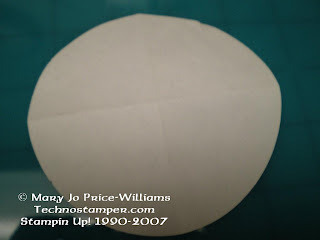 You will continue to do this until you have all of the sore lines transferred to your card stock circle. This is what the back of your circle will look like now. Now for the fun part. 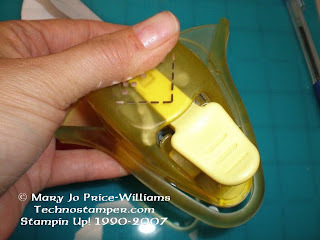 Find one of those corner punches that have the removable guides. 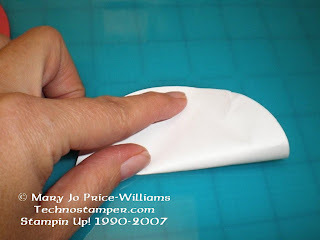 And remove the guide so that you have a punch that will punch on an edge instead of a corner. Line up your punch in between your pie shapes and punch. You will continue to do this all the way around your circle. When you are done if you are lucky your inside will just fall out. I was not lucky this time, lol. 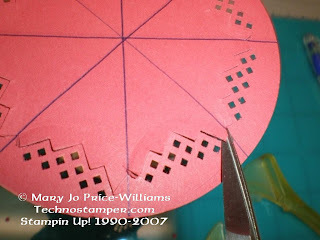 If yours does not fall out you will have to use your paper snips to cut the tiny pieces. You do not have to be too careful as this is such a pretty design that it really doesn't not show up if you are not exact. Now remove your middle piece, which by the way is pretty cool looking too-- would be a very interesting mat for another image. 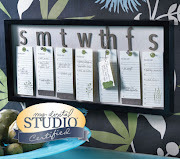 And now you have your finished medallion frame. You can embellish as desired. Again, I thank Becca for this awesome idea.